We supply, fit and manage satellite TV dishes & multiroom systems. Fault finding, weak signals and damage repairs. 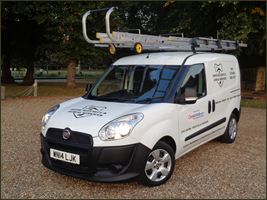 As a family business, with many years experience, we can advise you on the perfect installation for your property and signal strengths. This ensures that you enjoy the best tv picture possible. No matter what type of building you live in, or how complicated your install may be, we have the experience to manage it professionally for you. New Sky dish installation, no problem. Your local engineer can fit up a new dish & cables to capture the latest sky signals so you and your family can enjoy all sky has to offer. Everything you need to give you the full TV service you deserve. Being the latest in satellite to dish TV, Freesat is a brilliant choice to watch all your favourite programmes & some in HD, also if you live in a poor signal area for standard digital aerial reception, Freesat would be your perfect platform change. We can install Freesat SD, Freesat HD and Freesat+ (Freesat PVR or Freesat HDR).